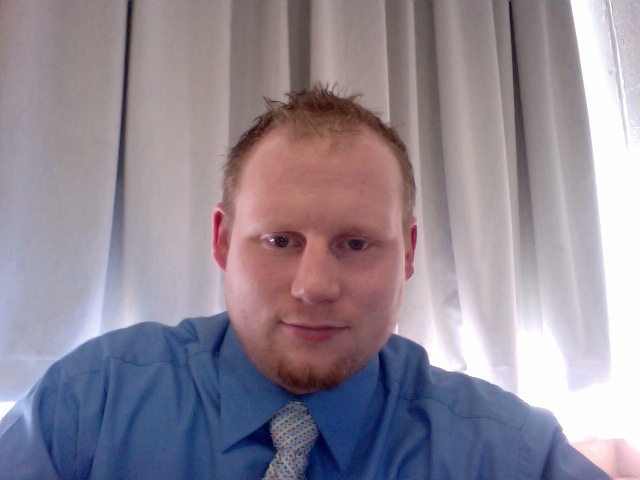 Keven Rinaman is the Director of Technology at Calvert Catholic Schools in Tiffin, OH. A graduate of Heidelberg University (’07) and Western Governors University (’17), Keven aims to utilize his knowledge and skills to bring classroom technology tools to teachers all over the world. Keven is a Level 1 Google Certified Teacher, Certified MakerBot Educator, and an Apple Teacher. When it comes to educational technology, Keven’s vision is using technology to engage, enhance, and extend lessons. Keven also hosts the MAGIC Potion EDU Podcast as well as the Teacher’s Tech Toolbox blog. NCEA – April 2019 – Drop Anchor and Start Podcasting! NCEA – April 2019 – Metaverse: Augmented Reality for Classrooms and School Marketing! NCEA – April 2019 – 3D Printing in YOUR Classroom! OETC – February 2019 – 3D Printing in YOUR Classroom! FETC – January 2019 – 21st Century Pen-Pals! Where Communication Becomes Collaboration! FETC – January 2019 – Metaverse: Augmented Reality for Classrooms and School Marketing! FETC – January 2019 – 3D Printing in YOUR Classroom! G-Tech Summit – August 2018 – 21st Century Pen-Pals! Where Communication Becomes Collaboration! G-Tech Summit – August 2018 – 3D Printing in YOUR Classroom! CREATE! Conference – June 2018 – 21st Century Pen-Pals! Where Communication Becomes Collaboration! CREATE! Conference – June 2018 – Metaverse: Augmented Reality for Classrooms and School Marketing! In this workshop, participants will learn about a variety of tools to be used for communicating with parents. Tools will include Class Dojo, Bloomz, Remind and more. This workshop focuses on increasing classroom efficiency and productivity. Tools will include classroom screen, podcasts, noisli, unsplash, wheel decide, go soapbox, and more. This workshop will focus on starting with Google Classroom from scratch. Participants will learn all about the tools and options available with Google Classroom. In this workshop, participants will be exposed to a handful of websites that offer free resources for teachers to use in their classroom. BreakOUT of Your Classroom. Engaging Team Activities. In this workshop, participants will learn about running a BreakOUT EDU activity in their class. These activities will foster team-building, critical thinking, and problem-solving skills. This session will take a look at various formative assessment tools to use in the regular classroom. Teachers will have the opportunity to get hands-on with their use in the classroom. Some tools will benefit 1:1 classes and others will work well in limited technology classes. Examples include Kahoot!, Plickers, Google Forms, Socrative, Go Formative, and more! In this session, we will take a look at tools that help to engage students and parents in the learning process. Types of tools that will be addressed include private photo-sharing and communication, Game-based review tools, websites to extend lessons, as well as tools to help Flip your classroom. Teachers will be given the opportunity to try the tools out from both the student side and teacher side. In this session, we will work on the basics of setting up an online classroom and take a look at the tools available to incorporate Moodle into classrooms. We will also demonstrate how to embed tools from other websites into your lessons and create a one-stop-shop for your students. In this session, we will explore classroom devices that enhance lessons and bring different options to classic techniques. We will take a look at Apple TV, Google Chromecast, Interactive Whiteboard solutions, Document Cameras, Lego Robotics, Raspberry Pi and more! An introduction to Google Apps for Education. This session will have an entry-level approach to the workings of Google Drive, Docs, Forms, and Slides. The first 60-90 minutes will be a tutorial of how each item works, followed by 30-60 minutes of hands-on usage by the attendee.